No one could have expected the Bills to be on their third starting quarterback today in Indianapolis. Even more unexpected is that NFL veteran Derek Anderson would be that QB. But sports humorist Jeff Wozer has found just a few other things in life as improbable as Anderson starting at QB for the Bills. • Buffalo Airport TSA agents recognizing Wegman’s Shoppers Club cards as acceptable ID. 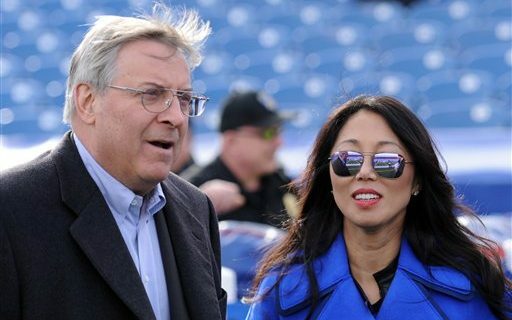 • Kim Pegula jumping out of Vontae Davis’s retirement party cake. • Bills replacing third down train horn with Jeopardy theme music. • Gatorade expanding into the sports tartar sauce business. • NHL players whistled for 10-minute misconducts getting the option to reduce it to 7 minutes if during timeouts they help shovel the ice. • Terry Pegula using his keen business instincts to open a Radio Shack in Pennsylvania’s Amish country. • Canadian Taco Bell franchises not scheduling additional help on the day Canada legalized marijuana. • The US Food & Drug Administration charging Yancy’s Fancy of selling cheeses that fail to meet its definition of fancy. Jeff has also uncovered the biggest pet peeves of Voice of the Bills John Murphy.